As of today, March 12th, 2012, I have not spent any money on these items. 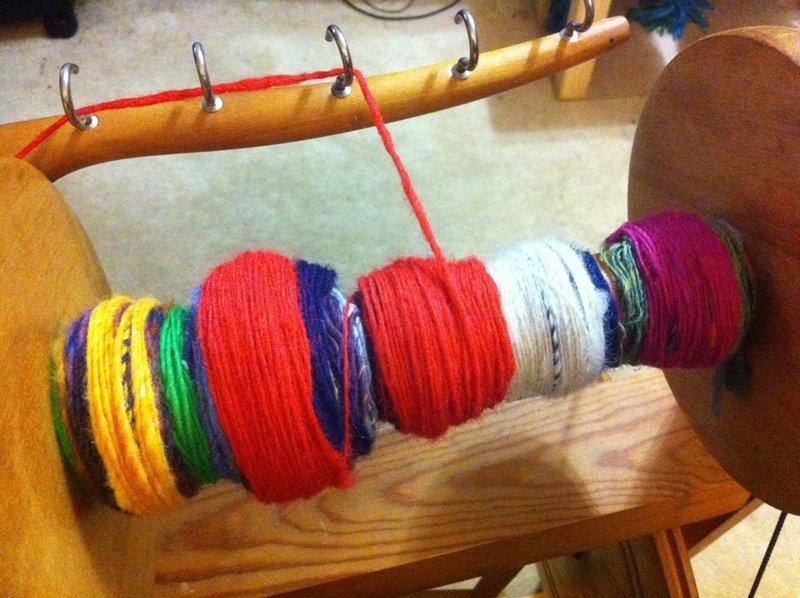 I am proud of myself because I am an avid Ravelry user and am never far from anything fibrous. 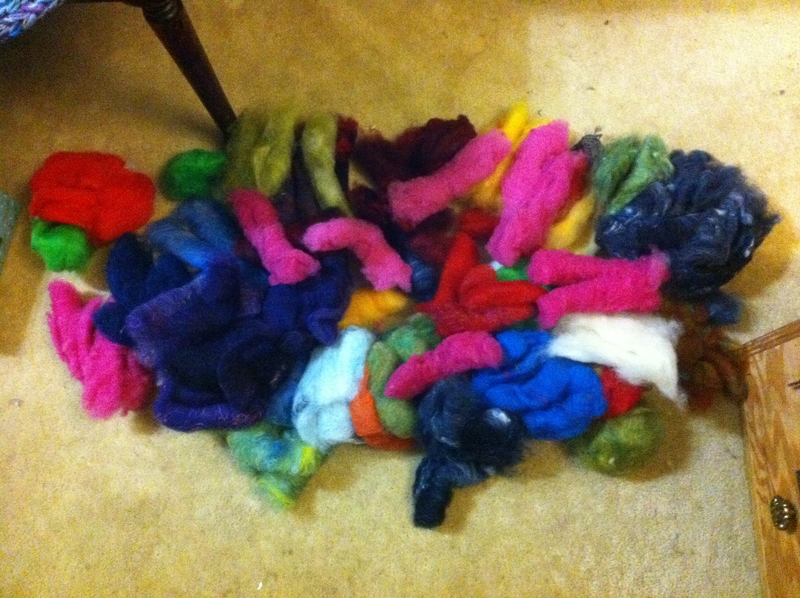 I decided to stop my purchases of anything squishy and shiny so I can dig down to the bottom of my fibre bins to see all the wonderful stuff I have accumulated in a little over a year of spinning. And once I’ve emptied those bins, I can go on to my vast and varied yarn collection. March 24 & 25, 2012, On the Spot Pop-up Craft Fair, 10720 – 124 street, Edmonton, AB. This will be my first show with On the Spot, and I am looking forward to meeting the organisers and aligning with such a great group! April 14th, 2012, Handmade Mafia, 10335 – 84 Avenue, Edmonton, AB. This will also be my first show with the Mafia. Unfortunately I was ill for the last show and had to cancel my attendance in early March. 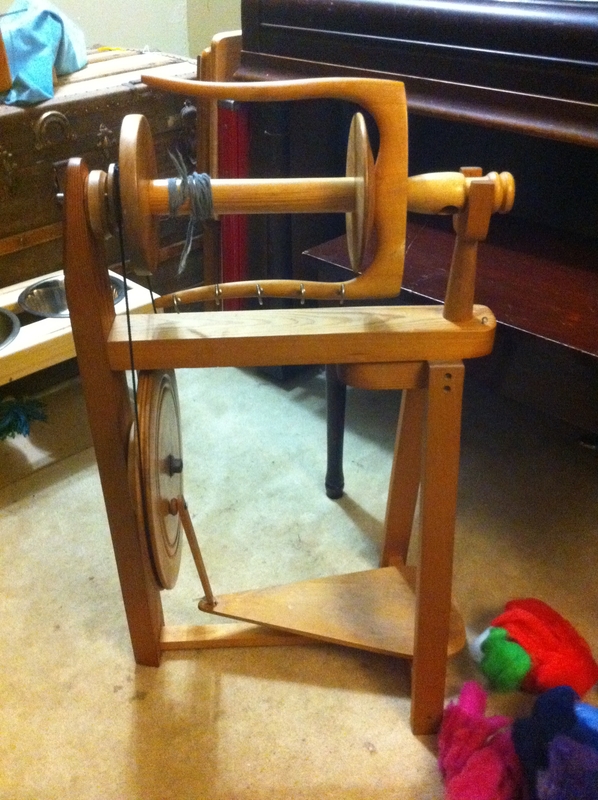 Apart from craft shows, I have been very fortunate to share my spinning talents with my Mum-in-law, Noreen Crone-Findlay. 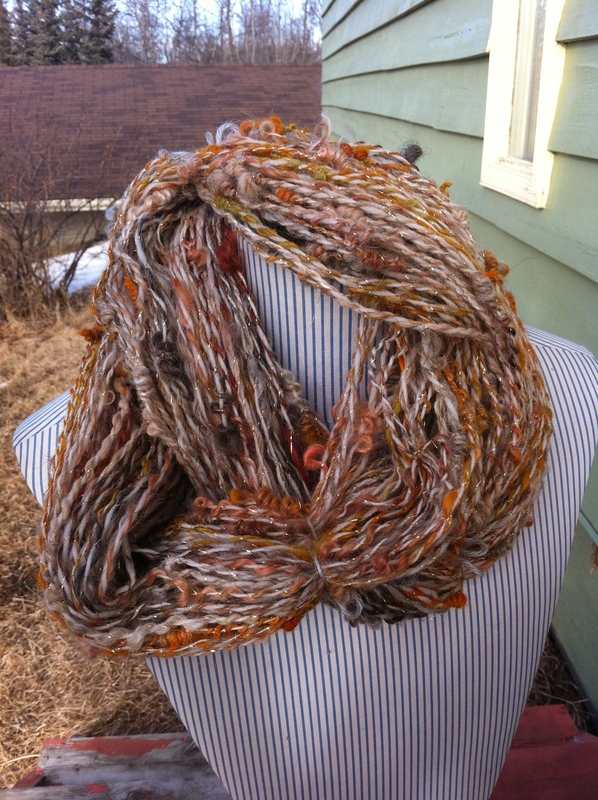 She has used many of my yarns in her weaving projects and I am very happy to share!